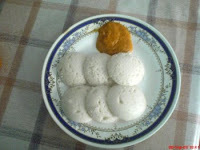 Savi-Ruchi: mallige idli (soft idlis) & tomato chutney!! Yes, you guys guessed it right...it was our breakfast for this morning. Wanted to prepare coconut chutney, but realized later that "no coconut" at home.Also, getting things from shop is not as simple as getting in India. I had to walk around a kilometer to get the coconut. So, ended up preparing tomato chutney, but that turned out really yummy!! When mothers cook for us & serve with utmost love & care.., we do so much drama saying that I dont like this.., why did you prepare?? etc etc. I feel, my mom would have been so hurt those days (Sorry amma...,next time when I come to India, I would never behave like this). But, now being a mom myself, I realize this when my kid refuses to eat what I have cooked, specially for him. ok..the reason for this flashback is I used to tell my mother same thing whenever she used to cook idlis. I hated idlis so much that I never ate it. I used to go empty stomach, but never touched it. Once it reaches room temperature, add coriander leaves. Mix the poha and rava together and soak. 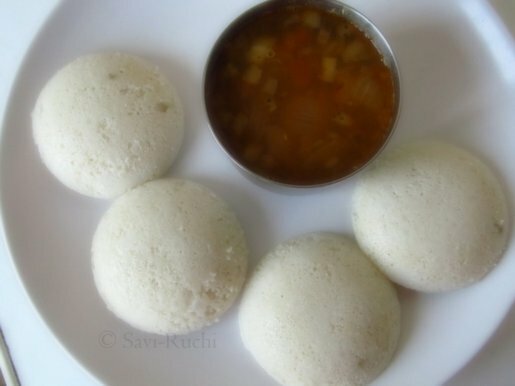 enjoyed readi ur post,..idlis look yum..
we all threw tantrums when we were young..and I am enjoying the tantrums from my son :D Idli and chutney look good ,. We can manage our husbands .., but not kids. what say?? Thanks. Did u mean maddi recipe? Hi, nice post...u hv written a lot but thats how most of us used to behave with mom. Doing lot and lot of nautanki to eat. I miss my mom a lot. I crave for idlis and dosas here in Germany. 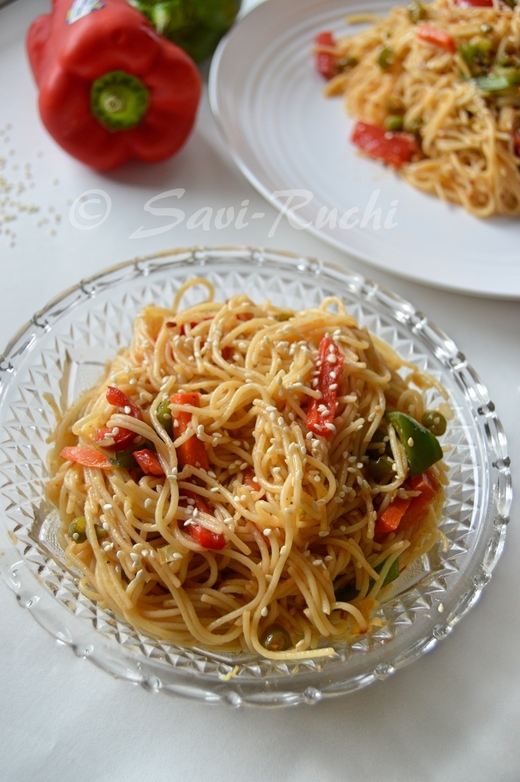 I have to eat my own cooking, at times i go pagal. I wanted to write about this to you long time back. 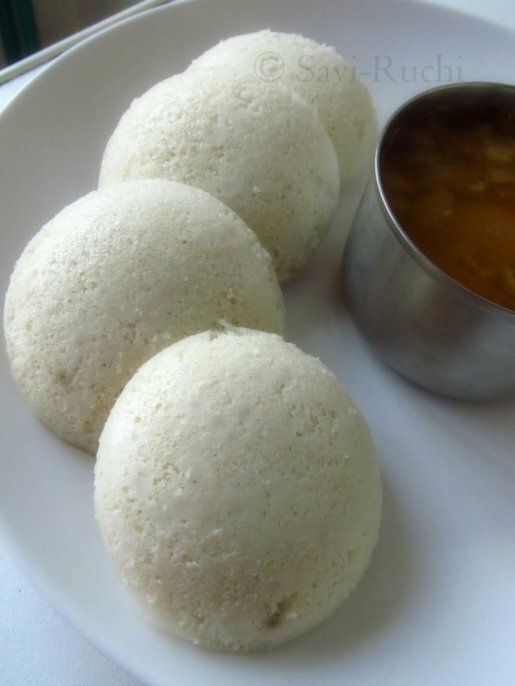 This idli tasted great. My son loved them too much. Thumba thumba dhanyavadagalu. Namagella thumba ista aithu. so soft and white indeed! Hey Sush, I tried this recipe and the idlis came out great. I have the recipe in my blog too. thanks dear!! The idlis trurned out great. Thanks for the recipe. When I post it will link it back to you. Thanks Shubha for letting me know. Archana Potdar: Thanks for giving the feedback. Will wait for your link.